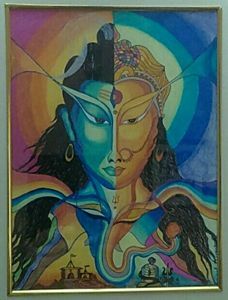 I am an artist blessed with almighty’s gift and inspiration that helps me in making this beautiful unique piece of art. 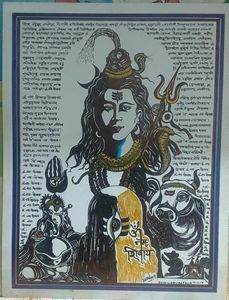 It's a result of complete devotion, dedication and meditation from deep within me to make this piece of art in a pure pious surrounding with a complete satvik (holly) feeling. 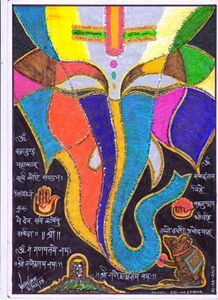 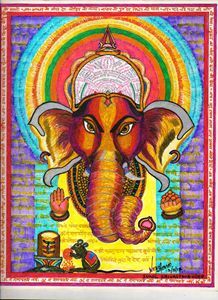 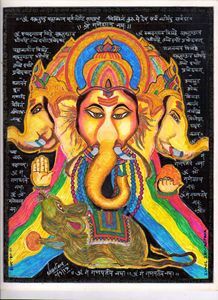 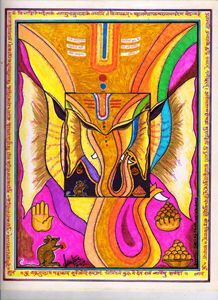 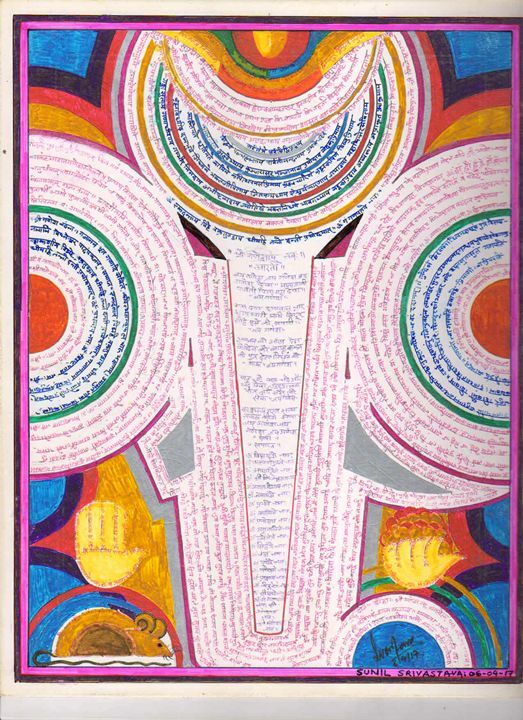 I have used all necessary influencial mantras (chants) related to Lord Ganesha wirh 108 names of Lord Ganesha,Aarti and special Siddhi Mantras in this art work which acts as beer mantras and bless with their effects for all sound happiness, good health, success and progress. 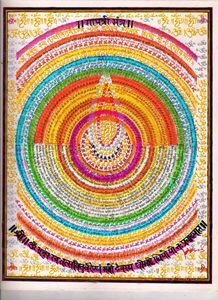 These mantras (chants) also help in removing all negativity. 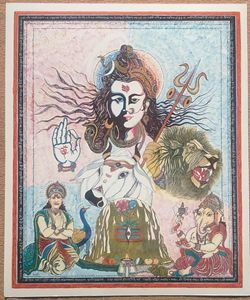 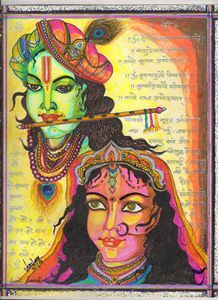 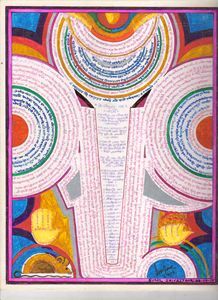 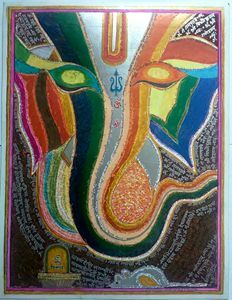 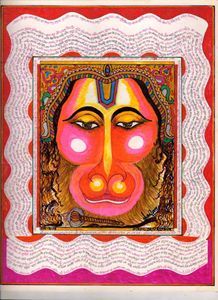 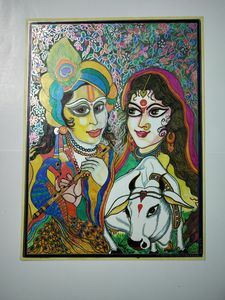 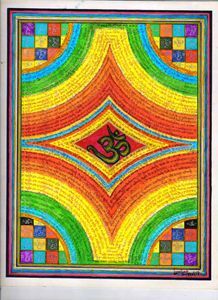 This painting is unique piece of art, it's totally siddhi mantras (Chants) based, and it's take near a month to complete, it's protect us and our family from obstacles and provide prosperity, good health and success in our life.